Crocheting is easily my favorite craft. Well today, I am going to share some of my tips and some YouTube videos to help you out. 1. Choose your first needle or hook wisely. A lot of people first use a small needle starting out. DO NOT DO THIS. As you are learning, start with a big hook. The bigger the better as you are getting a feel for the weaving. 2. Along the same accord, choose a thicker weight of yarn. If you use a small weight yarn, it is easy to have to small of loops which makes it very hard to progress as a newbie. It just gets frustrating when you can’t see your loops! Also don’t do any of that fancy yarn with the fuzziness or extra frills. This is my personal favorite to have someone start on. Simple is better. 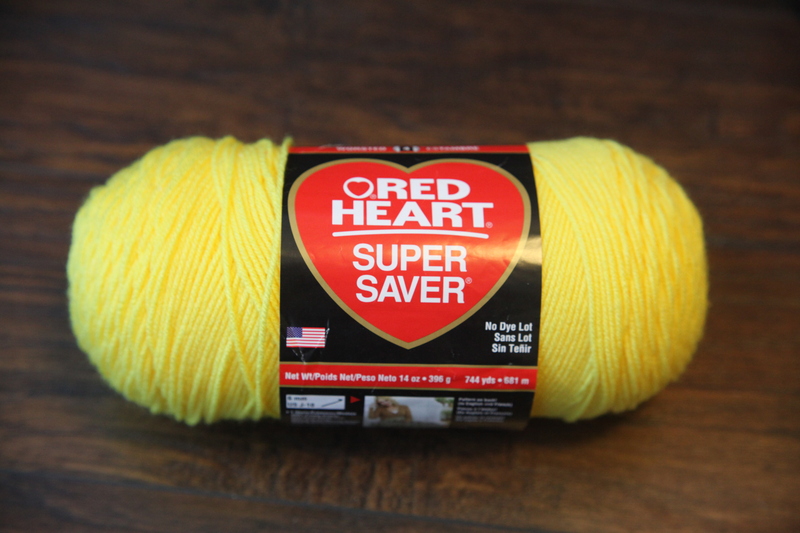 You can find this at Walmart or any craft store for like $2.50 a skein (roll of yarn). So the investment in my opinion is better when you are learning. 3. Just do a simple single stitch first starting out. It can be tricky to learn the mechanics, so you need to start with the basics. 4. Don’t expect your first project to be gift worthy. This is a craft that you have to practice because there is a certain finesse to it to make sure each stitch or loop is the same size. It can be frustrating to be learning and feel the pressure to complete this perfect project. My first blanket looked straight with a couple of wavy blobs in places because my stitches were uneven. It was horrendous. The nice thing about crochet mistakes is that you can easily rip them out and start over. 5. Have your first project be either a scarf or pot holder. Both of these are small projects that you can do fairly quickly, but gives you the time to learn the way. 6. Watch videos. For me this has been the best way to learn when I don’t have a teacher in person. I still watch videos and I have been doing this a long time. From the time that I was 7 (when I learned to crochet) to 24, I just did a single or double crochet because that was all that my dad had taught me. I had been gifted several crochet books, but I had a really hard time understanding the symbol tutorials. When I started watching videos I was able to really learn a lot of new and unique stitches. It helps for me to actually see it being done. So here are a few videos with the basics for beginners where crochet is concerned. Crochet Geek is the only channel I have booked in my favorites, and everything else is searchable. Crochet Geek has a learning video series for beginners. I highly recommend this channel! It is easily my favorite. She is really good at explaining things and showing you how each step should look in your hands. Pinterest and ravelry.com are a good place to find new patterns and techniques. I find a lot of inspiration through these platforms and then use YouTube to show me how. Just be patient with your first couple projects. If you do it enough, you will find a good rhythm, and it will become natural for you. I can do all the basic stitches now without looking, but I have also been doing it for over 20 years. So don’t get discouraged! You too can someday make things like this! Even I am still learning. It has taken me 23 years to attempt hats, so I am by no means perfect at crochet. That stupid magic circle eluded me for years. So there you have it, my quick tips to help you get started on crocheting. Have you tried crocheting? Do you have other beginner questions? If you are experience, do you have any other tips? This entry was posted in Crochet and tagged crochet. Bookmark the permalink. I love the basket weave. That is probably one of my favorite stitches! Haha I hear you. Mod Podge is the craft I can’t figure out.